"We will have our revenge"
You will definitely want to check out the first official trailer to Taken 2 - the sequel to the surprise action thriller smash hit staring Liam Neeson. I was surprised when I heard they were making a sequel, yet excited at the same time. Now after seeing this rad trailer I'm even more excited. Yes, it's a lot of the same song and dance, but who cares. This. Looks. Awesome. It's time for the retired CIA operative Bryan Mills to come out of "hiding" and show those bad men who's really boss. This should be a cool treat for fans with plenty of thrills and action to be had by all. Take a look. 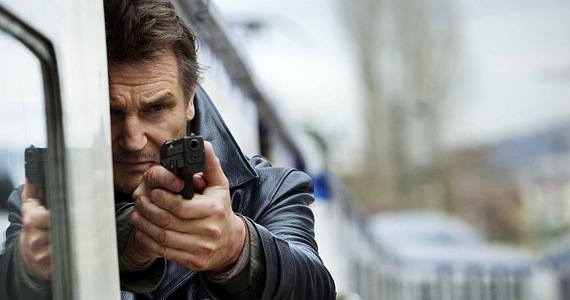 Taken 2 is a sequel to the surprise 2008 action hit starring Liam Neeson and directed by french filmmaker Olivier Megaton (of Colombiana and Transporter 3 previously). In Istanbul, retired CIA operative Bryan Mills (Neeson) and his wife (Famke Janssen) - didn't they get divorced? - are taken hostage by the father of a kidnapper Mills killed while rescuing his daughter (Maggie Grace) in the first film. 20th Century Fox is bringing this action thriller to theaters everywhere on October 5, 2012. Meh, we saw this when it was Borne Identity. Happy 49th Birthday, Johnny Depp!